Fend off wolves, mine for crystals and meet a whole bunch of other goals in Roads of Rome HD, a sim-building game that prizes efficiency and strategy in order to win. How do I love thee? Let me count the (path)ways. This is the premise of Roads of Rome HD, a time management building game from the same guys behind the Island Tribe series (read the review), where Caesar sends you off to a perpetual infrastructure building mission to keep you and your beloved apart. 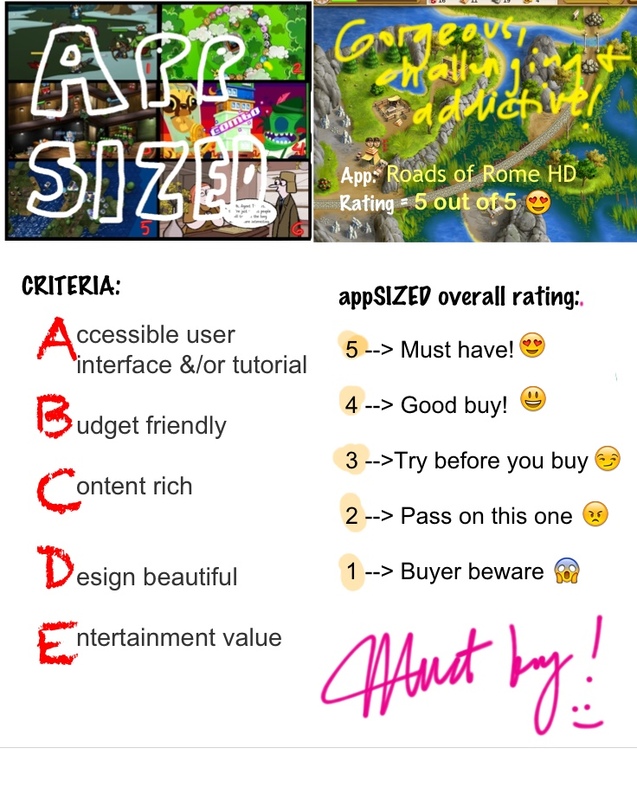 Other than the fairly interesting premise, is Roads of Rome HD traversing the well-traveled path of similar sim building games? 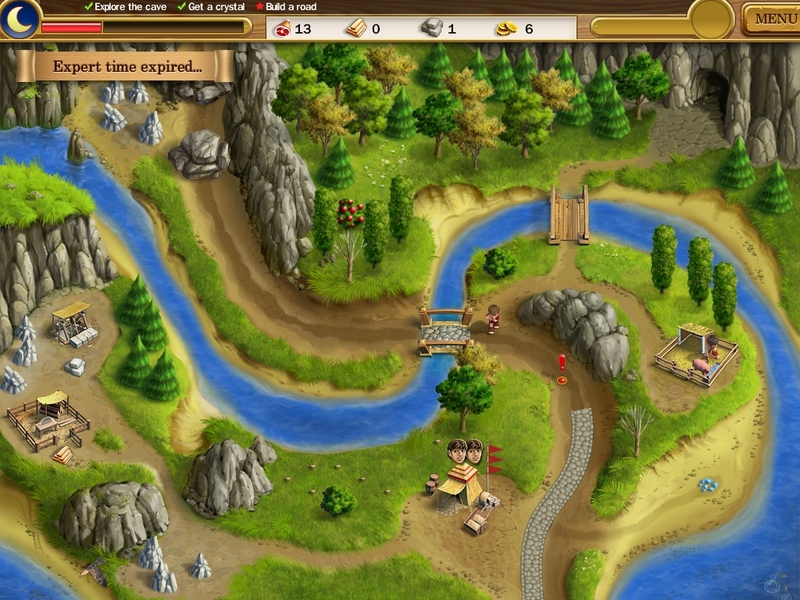 Roads of Rome HD, in terms of gameplay and structure, operates like most sim-building games such as My Kingdom for the Princess. 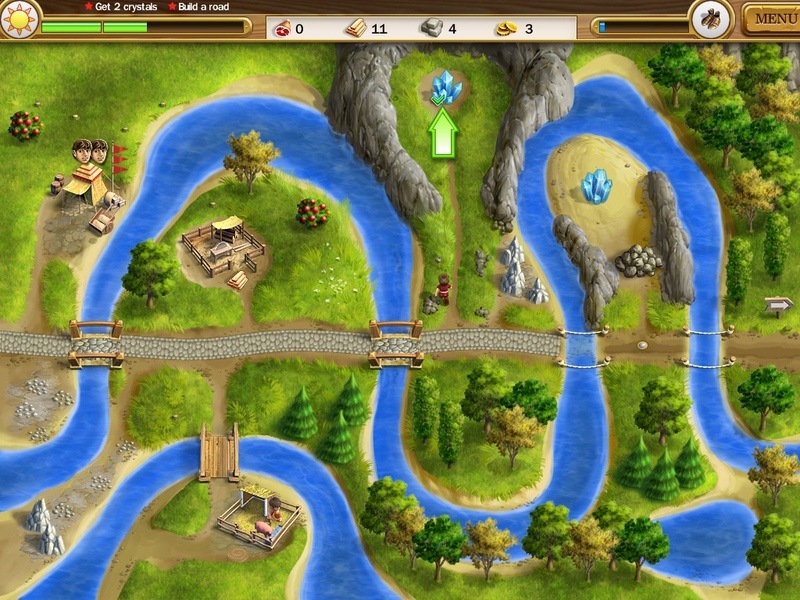 Your basic goals are mainly to build roads and meet other goals that crop up, such as to gather crystals. You have a limited number of workers and resources to work with, facilities to upgrade, and goals to meet. The tutorial walks you through most of the basics of the gameplay, and for handy reference, reminds you gently if you, say, need to remove a wolf that’s scaring your workers. The rather short time given to you to complete a level makes all the difference. If you just stick to meeting the level goals without aspiring for best time, you’ll find the game quite challenging. If you’re a time management fiend, like I am, you will find yourself replaying a level several times just to finish it as fast as you can and get expert time. This particular aspect of Roads of Rome HD is one that I find truly engaging. 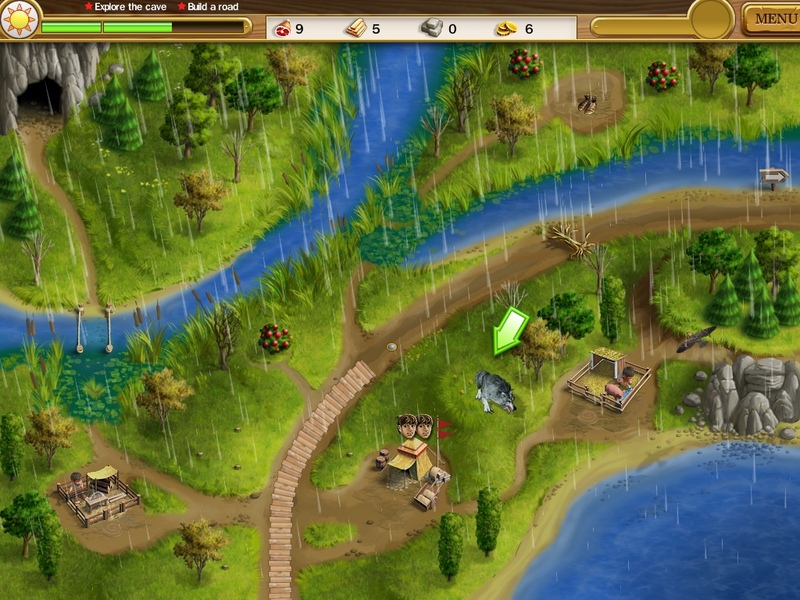 While in terms of gameplay and mechanics, it’s all been done before, Roads of Rome HD is not just about tapping here and there to build roads. For example, your workers need a certain number of units of food to be able to build roads, However, at the start of each level, you only have a few food units to allocate according to your tasks and how you prioritize your building needs determines the outcome. If you use up all your food, and you rely on the occasional berry bush to pop up, it could happen (and it has happened to me), that you get stuck in the middle of the game because you don’t have enough food for your workers to proceed. Graphics are lovely and detailed. Roads of Rome is one of the best-looking time management building games I’ve seen so far. I also like the little touches in animation, such as the My Valley menu, which incidentally gives you an overview of your progress in the game and the level of upgrades currently available to you. Entertainment value is high, and for 40 levels at $3.99, you get loads of value for your money. 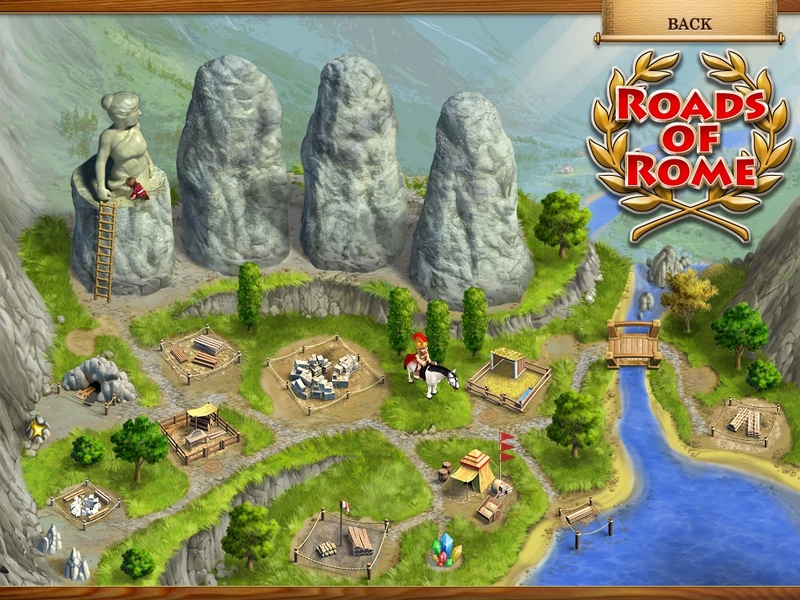 Roads of Rome HD is an effortless recommendation and one of my favorite time management building games, to date. If you only plan to buy one or two representative games of the genre, this game should definitely be on your list.